Mining Minister and member for Namatanai, Byron Chan is summoning all the support he can get to fully revitalise the Lihir Memorandum of Agreement (MOA). The full revitalisation of the Lihir MOA is believed willl pave the way for Canada-based Nautilus Minerals to pursue their development agenda on the highly controversial Solwara 1 project off the coast of Namatanai as well as pending issues on Lihir and Simberi gold mines. “I want the provincial government and the respective LLGs including Nimamar and Central New Ireland to work with me to complete the MoA process. Failure to comply would mean people will miss out on the benefits captured in the MOA such as the Infrastructure Benefit Package,” Chan said. Minister Chan, who is also the Namatanai MP, which hosts the Lihir Gold Mine, Simberi and the world’s first seabed mine in Solwara 1 in its back yard, called on leaders in his electorate to participate and be party to the current MOA discussions. “New Ireland has to be united and this means leaders of respective LLGs in Namatanai need to cooperate in order for the people to benefit from the massive revenue flows from the mines we have. Enough of petty politics!” he said. The minister said he will be working closely with Governor Sir Julius Chan in the current revised Lihir, Simberi and the Nautilus MOAs. Chan also called for an increase in equity on the infrastructure benefit package from the developers of Solwara 1 project, Nautilus which should be considered as a special case. He said for any development packages, he will take it up with the Prime Minister Peter O’Neill, now that the State has honored its commitment of K300 million in the Solwara 1 project. As reported earlier by PNG Loop, Chan has gone ahead, giving the green light for highly controversial Solwara 1 project to eventuate despite concerns on the environmental consequences from the underwater mining. Newcrest Mining Ltd is on track to deliver full year gold production around the top end of the guidance range following production of 551,590 ounces of gold and 21,012 tonnes of copper for the March 2014 quarter with the All-In Sustaining Cost (AISC) of sales being A$988 per ounce (K2236 per ounce). Gold production for the quarter was 11% lower than the previous quarter, primarily due to lower mill throughput associated with increased maintenance activity, which included a conveyor belt replacement at Ridgeway, a shutdown to complete the Cadia East west crusher tie-in and processing plant maintenance at Lihir. He said exploration activities continued during the March 2014 quarter with positive drilling results at Wafi-Golpu and Gosowong. During this second quarter, the Company announced that it had completed arrangements to extend the tenor of its existing bilateral bank loan facilities providing a smoother and longer average maturity profile with no material change to terms and conditions and no increase in interest cost. The International Seabed Authority and the Government of the Republic of Korea have signed a 15-year contract for exploration for polymetallic sulphides. 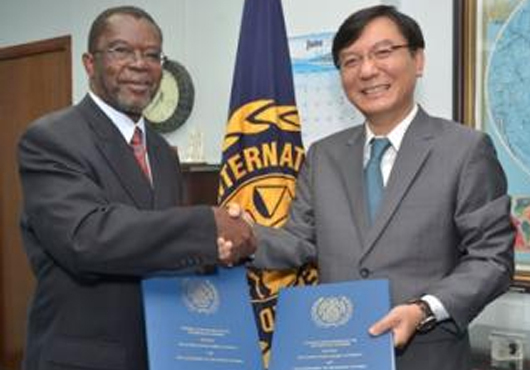 The contract was signed in Kingston on 24 June 2014 by the Secretary-General of the Authority, Nii Allotey Odunton and in Seoul on 15 June 2014 by the Honourable Minister of Oceans and Fisheries of the Republic of Korea, Lee Ju-Young. Under the contract, the Contractor will have exclusive rights for exploration for polymetallic sulphides over 10,000 square kilometres of the seabed located in the Central Indian Ocean. The application for a seabed exploration contract was approved by the Council of the Authority on 26 July 2012. I am appalled that BCL [majority owned by Rio Tinto] is still claiming ownership of mining tenements in Bougainville as governed by the Bougainville Copper Agreement Act. ABG must fight to repeal this oppressive, medieval document that sanctions a foreign company to take that which does not belong to it. It is an Act of law that violates the rights of the indigenous people of Bougainville and has not place in this modern day and age of liberalized thought and deed. I strongly appeal to President Dr. John Momis and the Autonomous Bougainville Government to cut off its ties with BCL immediately and for once support the people who gave the Bougainville government the mandate to pursue their interest and not the interest of BCL. The press release by BCL clearly shows total disregard for the suffering, and pain that the people of Bougainville went through because of the mine. To BCL, we Bougainvilleans are invisible and the only thing that is visible to their eyes is the glitter of gold and nothing else. Our welfare is nothing compared to their insatiable lust for profits. ABG must understand that as long as it does not own the means of production in the mining industry all proceeds from this highly destructive, extractive industry will end up in the foreign coffers with chicken’s helpings coming to us. Again we will suffer a double blow; that of losing out on its monetary benefits, and the loss of our land and our environment, all for NOTHING. Our leaders must not balk and allow themselves to be manipulated by scare tactics and sugary promises that will be forgotten once BCL gains foot hold in our land. From what we have seen, BCL’s self-righteous bigotry has not waned one bit. Therefore, I don’t see it adhering to any change in mining legislation because they already oppose ABG’s mining bill as indicated in the latest Press Release by its management. If such is the case and if ABG is truly our government, then it must act now and tell BCL that it has not right whatsoever to meddle with the affairs of a democratically elected government of the land. It must tell BCL that it also has no right to anything up in the sky or under the earth in the Autonomous Region of Bougainville. The Bougainville crisis had corrected all that by returning the stolen rights back to its people along with the ownership of all minerals and other extractive resources. If the current leadership wishes to retain its place in ABG after next year’s election, now is the time to stand up and be counted. GOD BLESS BOUGAINVILLE – THE LAND OF THE BRAVE AND THE FREE! 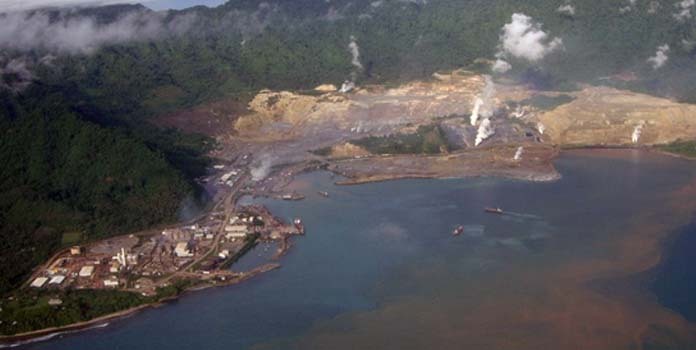 What is the Chamber’s position on the forthcoming review of Papua New Guinea’s 1992 Mining Act? GA: We do have serious reservations about some of the proposed changes to the 1992 Mining Act, particularly regarding restrictions on Fly-In-Fly-Out operations and changes to state equity in mining leases. Papua New Guinea’s resource sector has seen nearly a decade of strong growth, which can be largely attributable to the combination of world-class geology and a highly competitive fiscal regime. Now, as in the rest of the world, there is something of a downturn in the mining sector, which makes it the worst possible moment for a regulatory shakeup. At the moment, the national government has the right to a 30% back in to any mine, which is usually exercised at the development stage. This is already a high level of participation, but there are now calls from the more nationalistic voices in parliament to raise it even higher. This could have a profoundly negative impact on the country’s attractiveness as a destination for mining investment. On the other hand, tenement leases will be extended from two to five years, which is a positive development, as two years is far too short a period to make any real progress. What kind of impact do you believe the new regulations will have on the exploration sector? 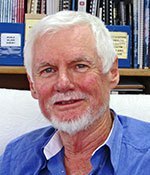 GA: The junior exploration sector has still not reached full maturity in Papua New Guinea, although the release of a major geophysical survey in 2010 stimulated interest from prospectors around the world. Nevertheless, global exploration levels have seen six straight quarters of decline, and raising funds on the markets today is virtually impossible. Until recently, one of our domestic exploration industry’s greatest strengths was its diversity: we had a broad cross-section of majors with the resources to develop large projects as well as junior companies prepared to prove up riskier prospects. However, in recent times several of the majors (Barrick, BHP Billiton and Vale) have pulled out and our junior sector has shrunk. 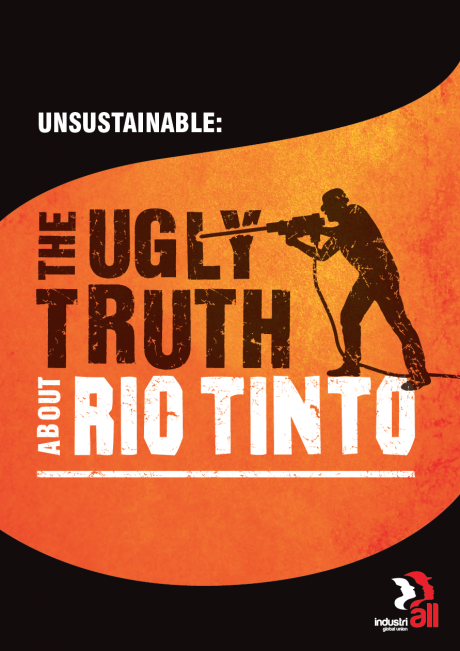 By taking away incentives, the government runs the risk of damaging the exploration sector even further. How would you respond to claims that the current act is antiquated and in need of radical change? GA: It is true that certain elements of the act are out of date, and various areas are not covered at all. 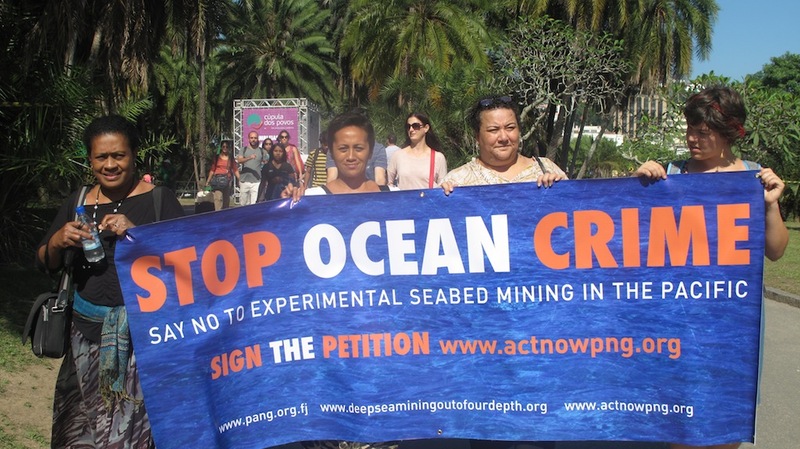 For example, there are no provisions for offshore mining, even though Papua New Guinea is leading the world in offshore exploration and will soon see the world’s first producing seabed mine. Similarly, although mine closure systems being followed in PNG are of the highest standards, there is no section governing mine closure within the act. It is also necessary to flesh out and update some of the regulations regarding social issues. However, notwithstanding these minor issues, it is a sound piece of legislation that requires some revision rather than a full-scale rewrite. In addition to its range of major mines, Papua New Guinea is also home to a vibrant small-scale mining community. How is the relationship between these two different sides of the industry? GA: Papua New Guinea is blessed. There is gold to be found in nearly every province, which has led to the development of a phenomenal small-scale mining sector. Recent estimates suggest that there may be as many as 80,000 people involved in alluvial mining, producing up to four tons of gold per year, but accurate figures are hard to produce. Separate to this, we also have a serious problem with illegal miners. This is particularly grave at Porgera, as there is coarse gold running free in the system and outsiders have attempted to break in, rush into the pit and try to recover some of the ore whilst blasting is ongoing. Six trespassers were recently killed in the underground section of the mine after having gained entry to a closed off stope, which collapsed on top of them. As nobody was aware of their presence, it took some time for them to be discovered. The Chamber is now engaged in discussions with the government to develop measures to end the practice. Many complain that since the closure of Bougainville Copper there has been a lack of quality training in Papua New Guinea. How would you assess the level of training for mining professionals? GA: It is true that Bouganville provided an excellent level of training and a great many quality technicians and tradesmen came from that mine. However, this nostalgia for the old days is unhealthy and ignores the great strides that have been made by other mines. Both Ok Tedi and Lihir offer full apprenticeship schemes that have graduated several hundred students over the years. There is a shortage of some professional skills, but this is partly because many Papua New Guinean engineers and geologists have been attracted overseas by higher salaries and better living conditions, which in itself is a solid endorsement of the high standards of the national training programs. In today’s highly competitive investment climate, why should foreign resource groups be investing in Papua New Guinea? GA: Over 37 years of independence, we have always maintained a very pro-mining political environment, which has led to an outstanding record of developing world-class projects. We were able to ride out the last global downturn with minimal economic damage and we look set to emerge from this one relatively unscathed as well. It almost goes without saying that in geological terms, Papua New Guinea is one of the most competitive countries in the world; the challenge now is to line up this geological potential with an attractive fiscal regime to ensure a consistent flow of investment. 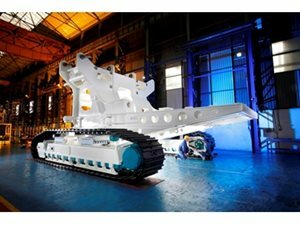 The last part of the Seafloor Production Tool (SPT), the auxiliary cutter, has begun assembly at Soil Machine Dynamics facility in the UK. The auxiliary cutter is designed as the pioneering tool which prepares the uneven seabed for the bulk cutter. These two tools gather the excavated material; the other, the Collecting Machine, will collect the cut material by drawing it in as seawater slurry with internal pumps and pushing it through a flexible pipe to the subsea pump and on to the Production Support Vessel via the Riser and Lift System. It will operate on tracks with spud assistance and has a boom mounted cutting head for greater flexibility. Speaking on this milestone, Nautilus CEO Mike Johnston said “we are pleased that the assembly of the AC, the third and final of the three SPTs has now commenced, with the arrival of the chassis at the SMD facility. The next milestone for the SPTs will be the commencement of Factory Acceptance Testing on the already assembled bulk cutter. The auxiliary cutter will weigh in at around 250 tonnes once fully assembled. The two chalked messages made a dramatic change from the usual seabed mining signs. “Fabulous result KASM thankx” read the Raglan West roadside blackboard that usually advertises scooters for hire, while proudly graffitied on Whaingaroa Environment Centre’s front wall was a simple “We won!” with “No seabed mining” in smaller lettering above. 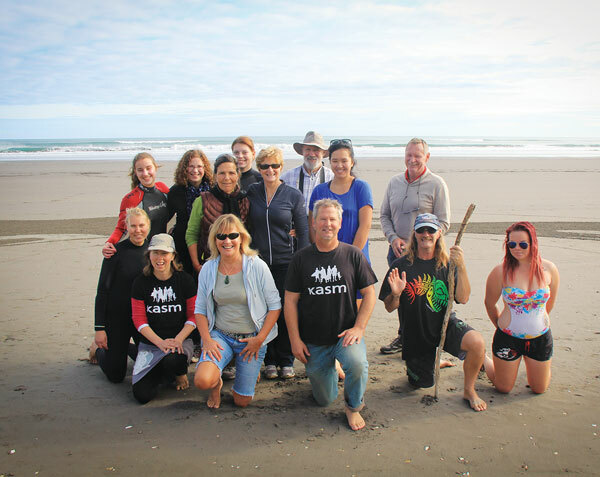 In what its chairman Phil McCabe described as an “amazing” result, Raglan-based KASM last week won the David-and-Goliath fight to prevent foreign giant Trans-Tasman Resources mining ironsands off the Taranaki coast. “It spun me out,” Phil admitted of the text message he received Wednesday a week ago saying simply “TTR application denied”. And he reckoned Whale Bay environmentalist Malibu Hamilton “nearly fell off his chair” when he relayed the news on to him. Phil had only ever believed KASM had a 50:50 chance of success. The rejection by an Environmental Protection Agency-appointed independent panel, of TTR’s application to take many millions of tonnes of ironsand from a 66 square kilometre area off Patea came, after months of hearings around the country. The panel said its major reason for refusing consent was the uncertainty around the scope and significance of potential environmental effects. When the Chronicle caught up with Phil last Friday he was still euphoric at the collective effort of the Raglan community to fight seabed mining. He said the rejection of TTR’s application had given environmentalists like himself a sense of hope, and had set a global precedent against sand mining’s threat to the world’s oceans. The EPA panel’s ruling was not only a just decision, Phil told the Chronicle, but a bold and courageous one, given it went against the residing Government policy. There was no doubt National wanted ironsand mining to happen, he said. That’s why the text from a supporter down-country – the one saying “TTR application denied” – came as such a surprise last week to KASM committee members, who gathered at Solscape eco retreat soon after for a celebration which captured media attention. Phil said KASM’s fight against TTR – from rallies and silent protests in the street to fundraising for legal costs of up to $30,000 – had been all-encompassing. And for him personally it meant being “fully immersed” in the politics of the sand mining issue like never before, particularly back in March and April with hearings running for six weeks in Wellington as well as for a week in both Taranaki and Hamilton. But it had all been worthwhile to get the message across that coastal communities didn’t want exploitive development of the TTR sort to fill the wallets of wealthy shareholders offshore. “We may have the technological ability to mine the ocean but we don’t have an understanding of the environmental impact,” he added. Phil said the KASM committee was now turning its attention to an application to mine phosphate nodules over a much bigger area on the Chatham Rise, about 450km offshore from Christchurch. The decision to turn down TTR’s application showed companies just how risky it was to invest in this sector, he said, noting that shares owned by investors in the Chatham Rise venture fell 20 percent once the South Taranaki result was announced. “This decision provides a pivot point for realignment of the compass to direct investment (in New Zealand) into more appropriate development,” he added of the estimated $60 million spent by TTR over six or seven years to get its application accepted. There was no shortage of iron ore in the world, he said, and it could be mined with far less (detrimental) effect elsewhere. TTR had 15 days to lodge an appeal in the High Court, which can only be made on points of law.